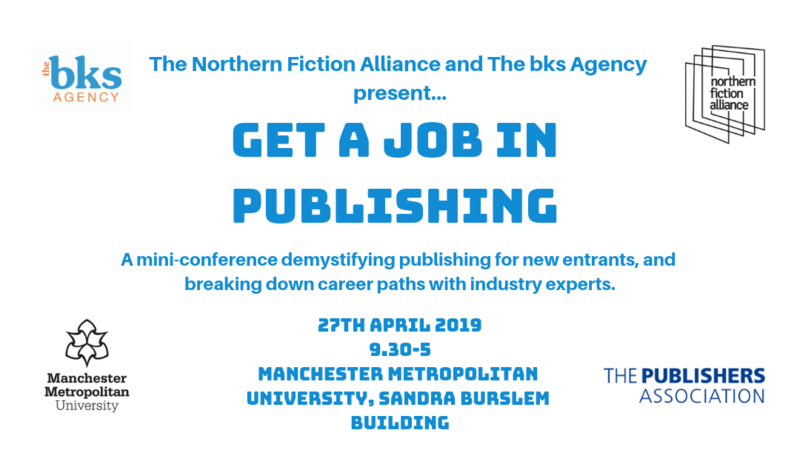 Comma Press, with the Northern Fiction Alliance and The bks Agency, are pleased to announce their inaugural ‘Get a Job in Publishing’ conference, partnered with The Publishers Association and Manchester Metropolitan University, which will take place on Saturday the 27th April 2019. 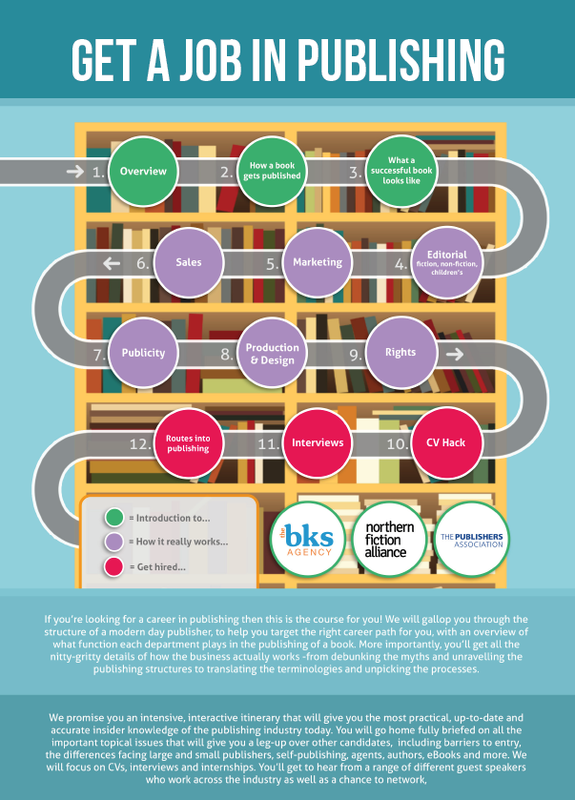 The bks Agency is a team of three experienced publishing professionals: Jason Bartholomew, Jessica Killingley and James Spackman. This event will be a positive, enabling mini-conference demystifying publishing for new entrants of all backgrounds, and offering practical guidance. With a series of in-depth talks, the publishing ‘ecosystem’ will be explained, and career paths including editorial, marketing, sales, publicity and rights will be described by industry experts, before breaking off into interactive workshops on how to write the best CV and how to hone your interview technique. Hilary Murray Hill, CEO of leading publishing house Hachette’s Children’s Group, who will be talking through editorial careers in children’s publishing. Sara Hunt of Saraband, a Northern independent publisher providing a platform for emerging authors and underrepresented voices, who will talk through editorial careers in fiction. Katie Brown, commissioning editor for fiction at Trapeze, an imprint of the Orion Publishing Group, and formerly an award-winning publicist at Headline and Riot Communications, who will lead a session on book publicity. Tickets are £50 and available from Eventbrite Full details including an overview of the day and speaker information can be found on our website. If a course was to consider coming as a large group to this event, we would be happy to negotiate a group discount.